Today was our first Grand Prix of 2019 and what a great event it was. Firstly we had the most representatives of all the clubs we finally turned out more than Lings to top the lot. Secondly we had some new players representing us at D and E grades. And lastly we won the E, D and C grades, what a day! As always great credit goes to all those involved, our children are great amabassadors for the club so well done for all who participated. So to the stories. In Grade E we finally managed to persuade James to enter his first GP and he only went on and won his Grade and then joined the D grade as well! One of our youngsters Noah (7) turned up to do a bit a training to get prepared for the next GP and thought he would try his hand. He won all but one of the group games and got through to the semi-finals. And so the D grade. 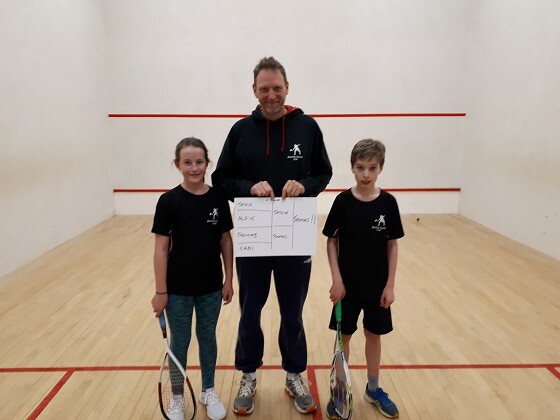 Some great play in the boxes, with Jessie and Thomas winning their groups to progess. 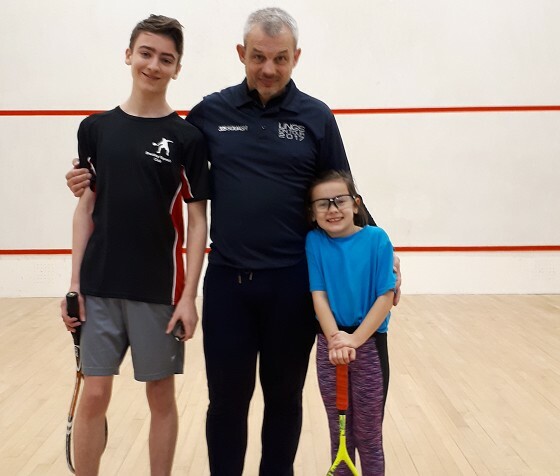 After some great semi-finals it was the Jessie and Thomas final for the 3rd time in a row. Some great play from both players with Thomas the eventual winner for the 3rd time. Well done to both players. And the C's. Brothers David and Jonnie both made it to the semi- final winning their respective groups. They were kept apart in the semi's with Jonnie just being pipped by Charlie in a very exciting 3 game match. 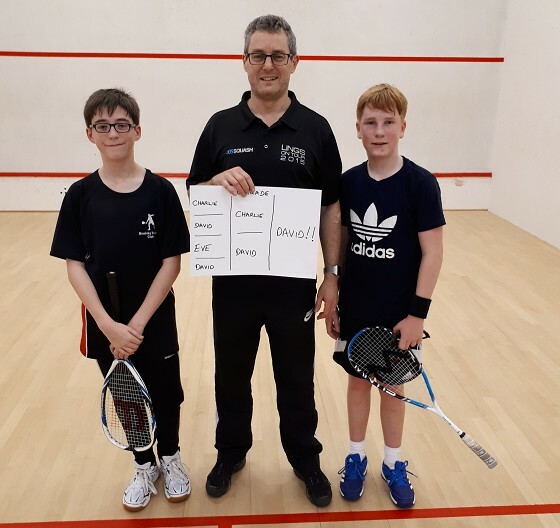 In the final David played some great squash to win the Grade for the first time. Some good play in the A and B groups, we can really see the players developing. Thanks to all the parents who came to watch and support we couldn't do it without you.